Representation you need, and the compensation you deserve. 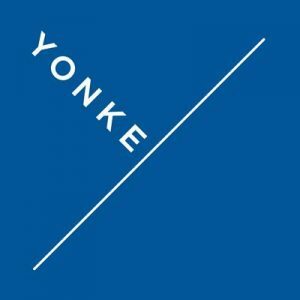 Mike Yonke is the founder of the firm Yonke Law LLC. Mike’s late father Al, founded a law firm more than 60 years ago. As a result, Mike had the fortunate opportunity while growing up to be exposed to an aggressive trial practice which solely represented people injured by large corporations. Following graduation from law school Mike accepted a position with his father’s firm, primarily handling personal injury and wrongful death cases. However, he also worked on a select number of high profile cases. In 2001 Mike founded his own personal injury firm. Over the course of his career Mike has distinguished himself as one of the top trial attorneys in Missouri. He has been recognized by his peers as such on multiple occasions. For example, he is consisted recognized as a Missouri Kansas SuperLawyer and The Kansas City business Journal’s “Best of The Bar.” He has also been recognized as The Best Lawyers in America and holds the coveted Martindale Hubbell AV rating. Mike Yonke is one of the top trial attorneys in Missouri. He’s been recognized in major publications such as the Missouri Kansas SuperLawyer and The Kansas City Business Journal in the “Best of the Bar”. He was also named as being one of The Best Lawyers in America and holds the Martindale Hubbell AV Rating. He’s on the board of directors for The Derrick Thomas/Neal Smith Third and Long Foundation and is a Tiger Scholarship Fund member. To help others fulfill their passion of practicing law, he also speaks at trial practice seminars around the Kansas City area.